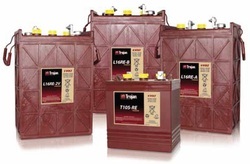 Renewable energy applications operate under challenging conditions such as fluctuating or extreme temperatures, remote locations and the intermittent nature of solar and wind power generation. 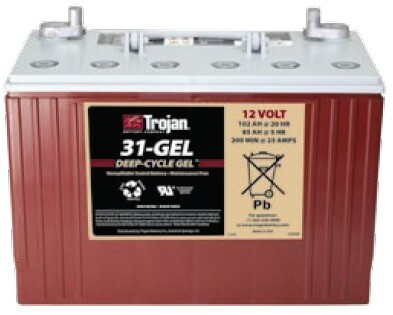 Designed with a 10-year battery life, Trojan Battery’s Premium Line of flooded deep-cycle batteries is specifically engineered to withstand the rigorous conditions of renewable energy applications. 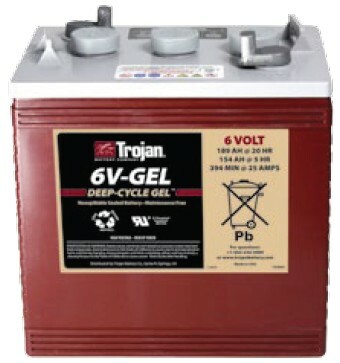 The Premium Line incorporates advanced battery features such as Trojan’s DuraGrid™, MaxGuard® XL separator and Alpha Plus® Paste technologies that provide superior performance, rugged durability and exceptionally long life. 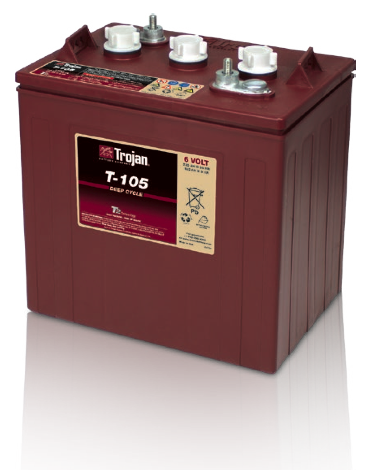 Trojan Battery's product strategy is focused on one simple objective – manufacture the highest quality battery available in the industry, which is why their Premium Line is tested to IEC standards. 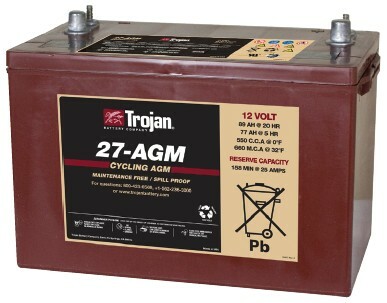 Trojan’s deep-cycle absorbed glass mat (AGM) maintenance-free batteries for renewable energy applications feature a number of design elements to provide optimum performance. 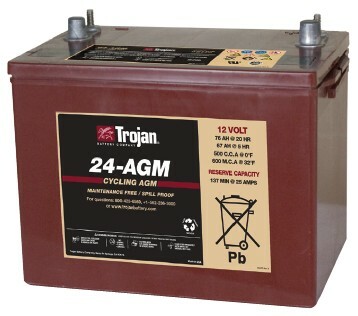 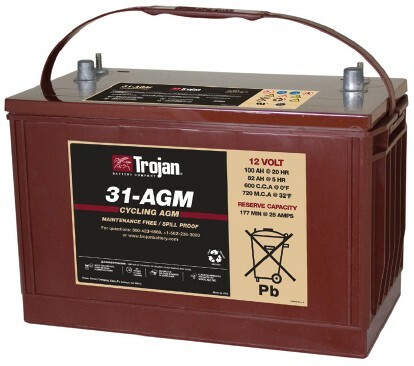 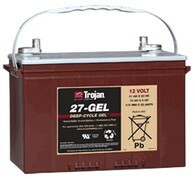 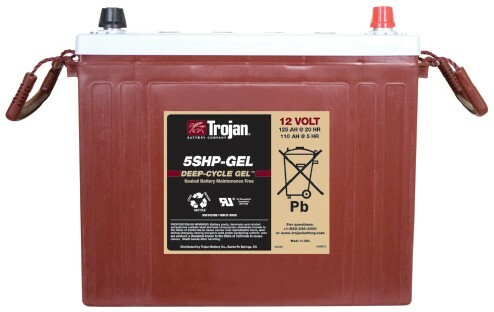 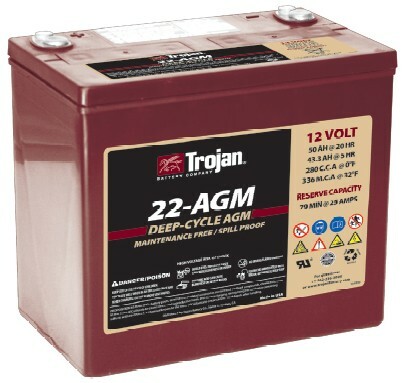 Robust plates extend the life-cycle of Trojan’s deep-cycle AGM batteries. A separator of glass fibers serves to isolate the positive and negative plates while acting as a blotter to absorb the electrolyte. 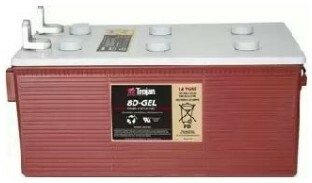 The separator is maintained under compression between plates to assure contact with plate surfaces. A computer-generated grid design is optimized for high-power density. 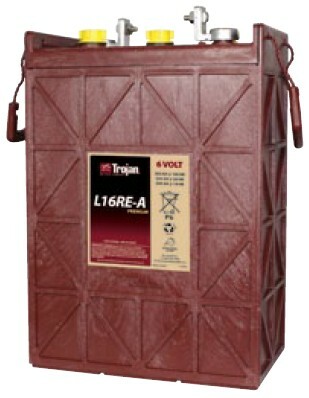 Low calcium grid alloy reduces gas emissions and a flame arresting, one-way pressure relief vent prevents buildup of excessive pressure. 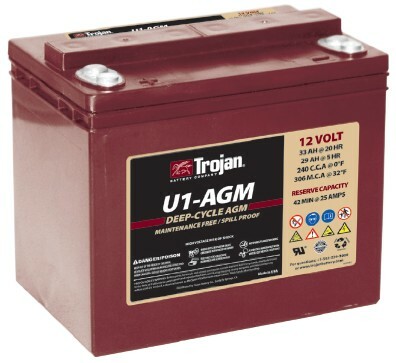 Trojan’s deep-cycle AGM batteries are low temperature tolerant, shock and vibration resistant and have a low internal resistance for higher discharge current and higher charging efficiency. 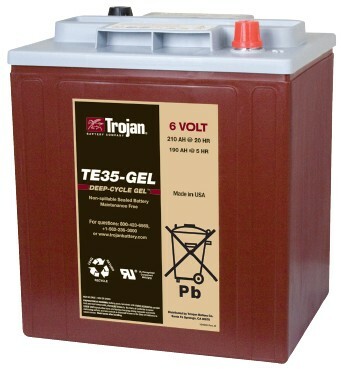 Trojan's deep-cycle gel batteries are sealed, maintenance-free batteries that deliver superior power in demanding renewable energy applications. 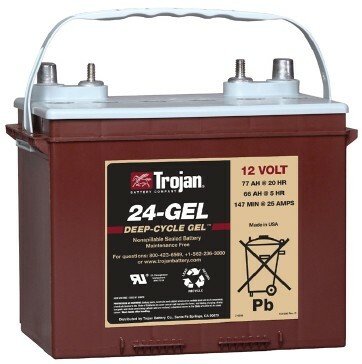 Engineered for rugged durability, outstanding performance and long battery life, Trojan’s deep-cycle gel batteries feature a number of important design characteristics that provide significant advantages over competing gel products.